The main company offering this service in the UK is Europcar. Europcar offers hourly van hire from all branches except airports. Vehicles can be booked for 2-8 hours, Monday - Friday (Monday - Wednesday only at central London branches). Simply specify your times on the quote page. The following companies all offer hourly van hire through club and membership schemes in selected UK towns and cities. These may be suitable if you need hourly van hire on a regular basis and usually allow you to book vans by the hour through a handy app. Collection and drop off is usually possible 24/7, 365 days a year. Register with Hertz 24/7 and you can book cars and vans online, by telephone or through the app. Locations include selected B&Q branches and other major retailers. You'll receive a booking confirmation and a vehicle access code to unlock your vehicle when your rental starts. Just walk up, unlock and drive off. If you need to hire a car or van for short periods, then Enterprise Car Club may be of interest. This is a membership service available in selected towns and cities around the UK. Cars and vans can be reserved online or through the app at short notice and are available for pick up from designated town centre parking spaces. The Zipvan van sharing service is run by the same people who launched the popular Zipcar car-sharing scheme. 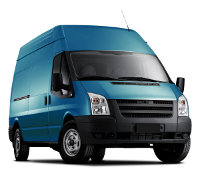 Membership is required but once you've signed up you can access van hire 24/7/365 in selected locations. As of January 2018, Zipvan allows you to hire vans by the hour in London, Bristol, Cambridge and Oxford. DO YOU OFFER VAN HIRE BY THE HOUR? We're receiving more and more queries related to hourly van hire. Include your company here with location and vehicle details for ONLY £50 a year.